The 87th Precinct series, after the intimate highlight of Blood Relatives, reaches back to its past for a much more expansive story centered around the wedding of Bert Kling, whose bad luck when it comes to love sadly continues. This novel was later adapted into No Time to Die, probably the most maligned episode of my favourite American detective show, Columbo. I submit this review for Katie’s 2014 Book to Movie Challenge at Doing Dewey (for review links, click here); Bev’s 2014 Silver Age Vintage Mystery Challenge; and Todd Mason’sTuesday’s Overlooked Film meme at Sweet Freedom. Weddings are just bad news for the 87th, no question about it. In ’till Death it was the nuptials of Steve Carella’s sister that were interrupted by various criminous activities. Here it comes even closer to home as Bert Kling and Augusta Blair, who first met a few years earlier in Let’s Hear it for the Deaf Man, are finally tying the knot. Kling has had a distressing time in matters of the heart – first a fiancée got gunned down, then he got unceremoniously dumped by another after several years together for not very good reasons – and now, on their wedding night on 9 November, Augusta gets kidnapped in a hotel filled to the brim with cops. “And now you are here. With me. Now you are going to be mine,” he said, and she suddenly realized he was insane. The reception at the hotel has some 200 guests, mainly cops and Augusta’s friends from the fashion business. The cops assume this is a ransom job after finding evidence of chloroform despite some pretty stupid suggestions from Captain Frick that this might have been a burglary gone wrong. While Kling waits by the phone, the rest of the squad goes through his old cases looking for people with grudges. This takes them up several blind alleys and it is lewd and crude ‘Fat’ Ollie Weeks from the 83rd, last heard from in Bread, who sensibly suggests that they go through the hundreds of wedding photos to look for anyone who shouldn’t have been there. Ultimately a psychopath is identified who has fixated on Augusta. Will she be rescued in time? This is every sense one of the weakest entries in the series, it pains me to say. The volume is not only really short (barely more than 130 pages in my Pan edition) but only substantial enough for a short story, let alone a short novel and is padded out with several entertaining (the author was always a complete pro) but ultimately completely irrelevant red herrings. The only thing that distinguishes it is Fat Ollie Weeks, who becomes the hero of the story. No matter how uncouth, vulgar and base he may be, it is because he is the outsider (as he keeps telling Carella) that he manages to really function effectively and solely as a policeman. The rest of the Squad is just too personally involved but Weeks is from the 83rd and it is he who cracks the case and it is he who ultimately saves Augusta’s life just in the nick of time – so by the end of the book, when he says he wants to move to the 87th, even though it makes Carella choke on his dinner, it really doesn’t seem like such a bad idea after all. 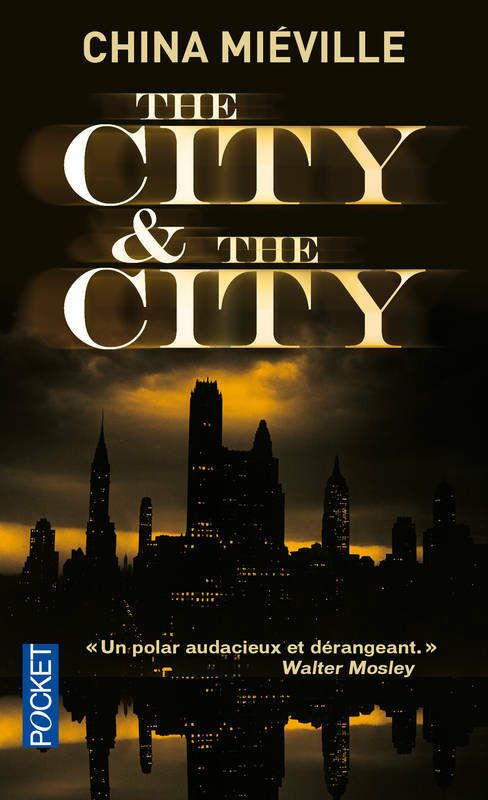 A great many of the novels written by Evan Hunter were turned into movies while most of the 87th Precinct stories published under the ‘Ed McBain’ pseudonym were adapted for television at one time or another, either in the US or in Japan. Many of course were used for the original 1960s 87th Precinct TV series. However one of the most unexpected adaptations came 15 years after the book was published when it provided the basis for a highly atypical 1992 episode of Columbo. Retitled No Time To Die, the script by Robert Van Scoyk maintains the bulk of the wedding and kidnapping parts of the plot but dispenses with all of McBain’s characters (presumably for contractual reasons), though it keeps the wedding photographer and Fats Donner, the corpulent informant who loves steam baths, though the character is here renamed ‘Tubby Comfort’. Bert becomes Andy Parma (Thomas Calabro), here recast as Lieutenant Columbo’s nephew and Augusta becomes Melissa Alexandra Hayes (Joanna Going). Set across just a few hours (15 hours and 2 minutes to be exact), with updates typed out across the screen, this even has the Lieutenant brandishing a gun! There are a few nice touches, like teasing the audience with whether the woman sitting next to Columbo at the reception may actually be his wife, but ultimately this is just a straight race against the clock thriller of no special merit. I can’t imagine for a moment why this weak novel ever seemed like a good prospect, other than maybe Universal already had the rights and didn’t know what else to do with them. 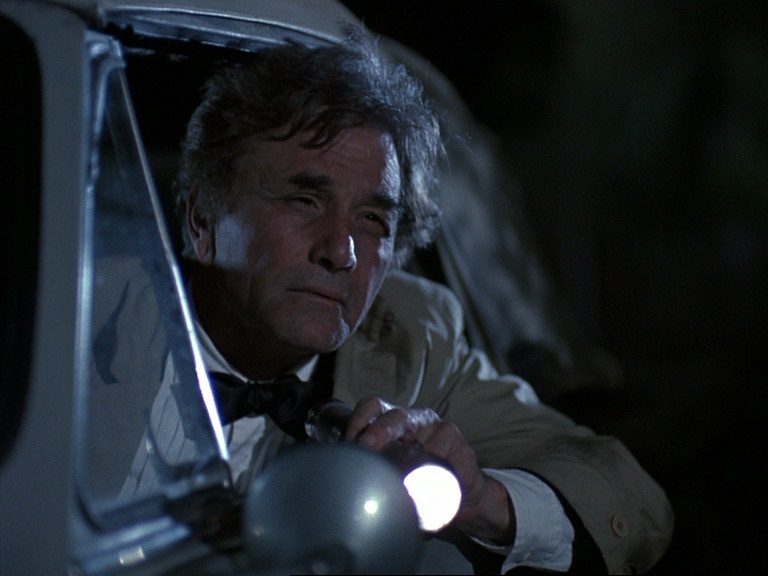 It is perfectly entertaining and very professionally put together and Falk is always good – but this deliberate change of pace (Columbo never even meets the villain) finds no viable substitute for the character and ingenuity of standard Columbo episodes and so just lies there, flat as a pancake, looking just like any other TV police procedural you might care to mention. Why would you want that when you could watch Columbo instead? Certainly the finale in which all guns are blazing and Falk is left looking quizzically at the gun he is holding does little than emphasise the disconnect – this is certainly the least of the two McBain adaptations for the show (I reviewed the other one, Columbo: Undercover, right here) For the list of my favourite Columbo episodes (and no, this is not among them), see my post In praise of Columbo. 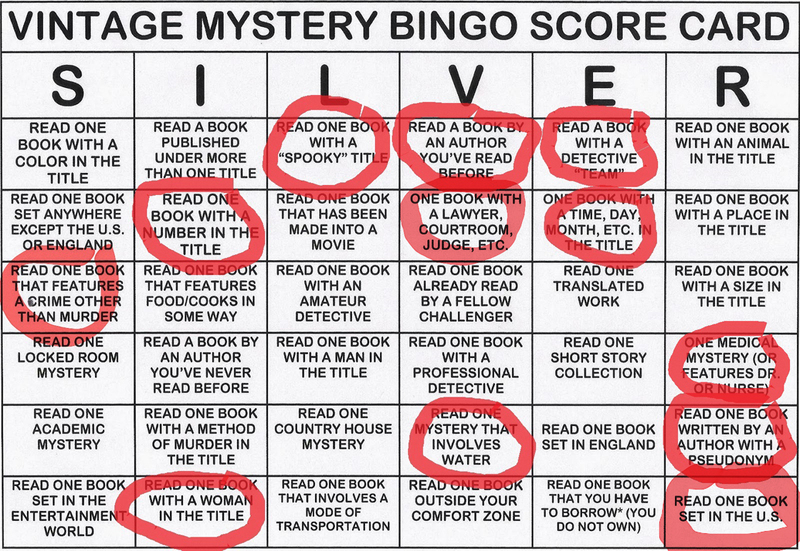 This entry was posted in 2014 Book to Movie Challenge, 2014 Vintage Mystery Challenge Bingo, 87th Precinct, Columbo, Ed McBain, Friday's Forgotten Book, New York, Police procedural. Bookmark the permalink. I’ll say it again, though: even though this is not a strong entry in the series, the opening chapter with everyone talking over each other at the wedding reception is as good a chapter as Ed McBain ever wrote. And also, yes, good ol’ Fat Ollie. A great and original character, and what a shock at his role in the climax. Absolutely Jack – fact is though that, though it pains me to write it, this is still a great short story masquerading as a novel … Still, plenty more to choose from! Thanks Margot – Fat Ollie is what makes the book, no question about it. As you say, with McBain there are always major consolations to be found! All of your recent McBain reviews just keep reminding me that I have read ZERO 87th Precinct books so far this year. Well, there are 8 more months to go. You are really whizzing through them. Well I haven’t read the book and I’m pretty sure I haven’t seen the Columbo episode either. 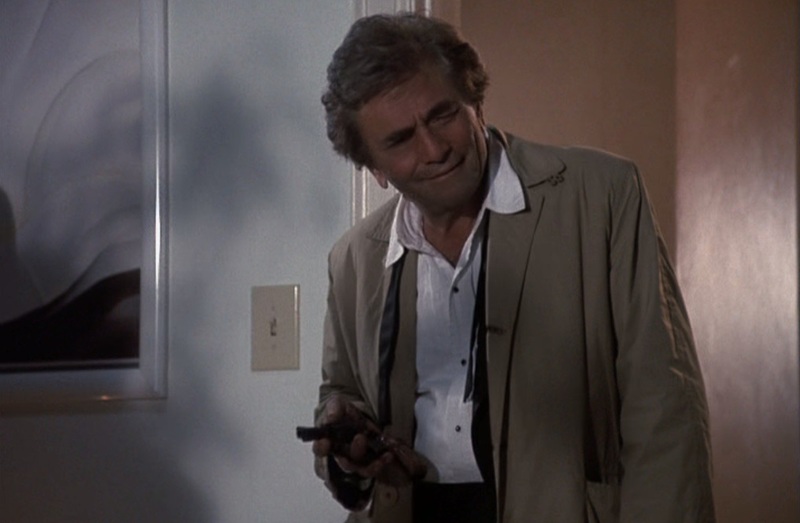 Somehow I never quite managed to get into those 90s Columbo efforts – it felt like a bit of the sparkle was missing. I still haven’t worked my way through all the 70s stuff but I remember a distinct fall in quality when I caught some of the later stuff on TV – I think it was partly down to the fact the guest stars weren’t quite in the same league too. Well, yes, this is true – they really started to court a younger demographic I suspect. On the other hand (and of course I have posted abotu this elsewhere), there were some really good episodes such as the two which saw the return of the great Patrick McGoohan as well as one with Faye Dunaway written by Falk himself. Yes, those are pretty big names. I think the latest stuff I have is from 1989 but I’d really have to check. I don’t remember the book at all – which shows it can’t be one of the best! And I’m astonished that they would adapt McBain stories for Columbo – I *love* Columbo but it has its own particular modus operandi and it obviously doesn’t work when you mess with that. I shall make no effort at all to seek out those episodes and stick to my DVDs of the ancient 87th Precinct show instead!! Well, they were sort of ‘stunt’ episodes, deliberately varying the formula (Falk even appeared as himself on The Larry Sanders Show making fun of this) but I donl;t think anyvody thinks much of them. No I guess not – I much prefer classic format Columbo! Well, you’re right – but the episode with Faye Dunaway fromt the newer Columbos, written by Falk himself, was well worth the wait I thought! I blogged about my top Columbos right here. 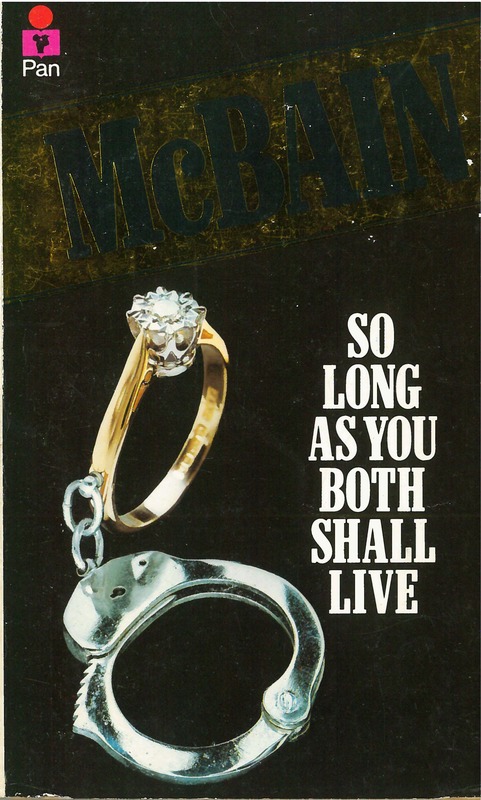 Interesting to read your entertaining post about yet another Ed McBain book I’ve never read. And why is that? I ask myself. Don’t know. Just never got around to reading them though I’ve always meant to. Hey, I can’t read EVERYTHING. 🙂 But I’ve taken note of your obvious affection for McBain’s books. He really was a prolific writer. Maybe this summer? I don’t remember much about Columbo since, for whatever reason, I rarely watched it. Must have been something else on at the same time. (Don’t hate me.) Ha. No sure I can really forgine the appalling lack of Columbo in your life Yvette 🙂 As for the McBains, well, if you ever do pick one, don’t start here! Three more until you hit GHOSTS. The most unusual 87th book I’ve read so far. Can’t wait for that review. Just to let you know – I’m planning on reading one of the 87th Precinct books as my “Read by a Fellow Challenger” book in the Silver Age Bingo contest. Any suggestions of the best of the post 1960 books? As far as I know there is no recent biography of Levinson and Link (but then they left the show after the beginning of season 2 anyway) – they wrote two terrific autobiographical volumes but it’s all from the 70s and early 80s. Ah, some post 1960 McBains – well, I would definitely reccomend Give the Boys a Great Big Hand and the two Deaf Man capers, The Heckler and Fuzz – and from the 70s, well, you can’t do much better than Sadie When She Died. Really look forward to reading your review chum. Thanks for the McBain tips! If I have time this year I’ll read one of those autobio books by eihter Levinson or Link. The CPL is bound to have one or both. Levinson & Link; went to my alma mater! Well I’m impressed – two of my great heroes – Mannix, Columbo, Ellery Queen, Murder She Wrote not to mention all those fantastic TV movies like The Execution of Private Slovik, That Certain Summer – wonderful stuff. I have some – just a handful – of 87th Precenct books here, and they continue to stay on the shelves. I always MEAN to read them, sooner rather than later, but for some reason they never get opened. I really must remedy that, but my TBR is so loaded up right now I can’t squeeze in anything more (he says). I know, I know, just march over there and pick it off the shelf……. Sergio, I have the Pan edition of this novel, too, though not with the same cover as above, and I still haven’t read it. In crime fiction, I don’t know if there is ever a happy ending when two cops or homicide detectives date or decide to marry. It’s such an arduous walk to the altar. The affair between the lead homicide pair in “Public Murders,” which I read last week, is almost cut short by a serial killer. But then, this sort of thing is rarely central to the story, perhaps not in this McBain novel. I don’t recall seeing any of the film and television adaptations of his books. “Columbo” sounds interesting to me and I’ll watch out for it though I’d be surprised if I came across a DVD set out here. I only ever remember seeing Peter Falk in “The California Dolls” (“…All the Marbles” in the US), an adultish comedy I saw in my teens. Oh, I sort of remember All the Marbles – wow, that takes me back Prashant! Kling in the McBain series is famously unlucky when it comes to his love life and in the book you even get a summary of his previous disasters and tragedies (not the sort of thing I would bring up about the grooom …) – all the McBain books are worth a look so i hope I didn’t seem too critical. Sergio, I’m definitely going to read some McBains this year and then probably voice my collective thoughts about the ones I read. I am so curious to read what you make of his work Prashant – of course, I really hope you enjoy them first and foremost! These are sort like the TV show “Barney Miller”, right? I’m hosting Friday’s Forgotten Books today for Patti Abbott, but unfortunately Typepad (which hosts my blog) had a denial of service attack and is down. They are working to fix it ASAP, so please so stay tuned. My apologies for folks who have links – I’ll put them up when things are back to normal + they’ll be up all weekend (and beyond). Hope it gets fixed soon – thanks so much BV for undertaking hosting duties! There are peaks and valleys in the 87th Precinct series. I’m with Jack and Margot on the terrific opening chapter of SO LONG AS YOU BOTH SHALL LIVE. And I think you’re right about this book being a short story masquerading as a novel. Thanks George – good to know that there is still much to enjoy even in a misfire! After a highly inconvenient month off-line, I’m slowly getting back into the swim of things. The 87th Precinct series from 1961 was produced by Revue, which is what MCA called its TV operation back then (the full merger with Universal Pictures was a work in progress at that point). This was Hubbell Robinson’s second sale to NBC in two years; the first was Boris Karloff’s Thriller the year before. NBC cancelled both shows at season’s end, but that was probably coincidental. Flash forward to 1967: An adaptation of Killer’s Choice (which had already been done on the ’61 series) appeared on Bob Hope’s Chrysler Theatre, with all the 87th cops getting name changes. This would indicate that MCA had retained rights from its original deal with Evan Hunter for the franchise. At this same time, “McBain” got sole screen credit for writing an Ironside episode that clearly derived from an 87th novel (I can’t recall which one just now). Comes the ’70s: The feature Fuzz was made by Filmways for United Artists. Hunter was on record as not entirely satisfied with the finished product; this may have been a factor in there being no series. How MCA came back into the picture in the ’80s, I don’t know, because it’s never been written up that I know of. A guess: Someone at MCA who knew Hunter way back when threw some money at him for the two novels in question, with the possibility of more later on. Hunter knew the Hollywood game well enough to take the cash and dash … hey, it happens, right? So there’s some history and some guesswork for you. Great to have you back Mike and thanks very much for all that info – must find out what that Ironside was derived from at some point! The young Robert Loggia is physically great casting (as, in theory, should be reynolds minus the moustache) – no one else has come remotely close to matching the look of the Carella in the books. Fascinating stuff! Which was the 87th novel in Bert Kling kills a teen in line of duty, then agonizes over it for the rest of the story (very in the series, I think)? That’s the one they did on IRONSIDE; the episode title was “All In A Day’s Work”, with Kling turned into Eve Whitfield for the occasion. The same story was used on the old 87th show back in ’61, titled “Line of Duty”; as I said above, I can’t call to mind which novel was the source. I’m kind of surprised at the negative reaction to SLAYBSL–yes, it’s a quick read, but well-paced and fun. Chapter One, as mentioned, is full of great stuff–Meyer Meyer dancing “with all the grace of an ox-drawn cart, leading his wife around the floor in something that resembled a cross between a lindy hop and a fox trot, though the band was still playing a waltz.” Granted, the novel may work better as a character piece than as a mystery, but either way, I devoured it. McBain may not have been stretching himself as creatively as he has at other times–I believe that the modern expression for this type of novel is “fan service”–but to me it remains essential to the series. The question at the end of the novel that Augusta vows never to ask Carella and Kling comes in one of the most memorable, gut-wrenching.paragraphs McBain ever wrote. Well, to each his own Hank 🙂 There are good things, definitely, but it is so short and so incredibly thin as a noivel as a result! For me it’s far and away the worst 87th Precinct novel I’ve read, but hey, I never met a McBain without redeeming features either! Now that is really funny. I do remember seeing the Columbo episode many years ago and thinking, “Gee, this was a lot like an old Ed McBain book I read”. I didn’t realise it was a straight adaptation/rip-off. Hello Mark – definitely not a rip off but a properly credited adaptation, with Mccain’s story and the 87th series all credited in the opening and closing credits.